What do you know about the Tuskegee Airmen? Honestly I don’t know too much. I’ve heard rumors and small stories about them but never the whole truth. It’s almost like the X-files. That part of history seems shrouded in mystery and doubt. Well I ran across this little tidbit of information that I hope you will find interesting. 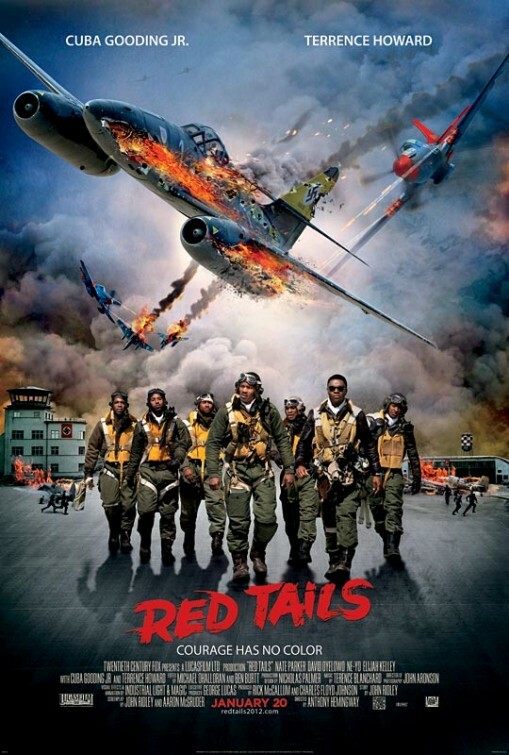 In an appearance on The Daily Show, George Lucas said that he had trouble getting funding for his new movie, “Red Tails,” because of its black cast. Now, I’m not going to say you have to see the movie just to support black actors, I want to say go see the movie because it’s a part of our history that has not been shown as it should be. Those were true role models and heroes. In the interview you hear George Lucas say that even Tyler Perry moves are considered in the low budget realm. I know most would and probably have taken offense to that but as far as I’m concerned, it’s FACT! Why can’t we have movies like that from our black filmmakers? Why do we have to always be depicted in the roles we see in most of those films? Why can’t we do a “Avatar” or better yet a new generation “Huxtables”? It’s beyond me. Well this post was not meant to discredit or defame anyone. These are just thoughts. My thoughts. As I filmmaker our job is to bring great stories to life…not just a great looking film but a film with substance. Lucas said, he thought it was a great story and he spent time with the men that made it all happen. He started with about 40 of them and it has now dwindled to less than 10. It’s a shame those that didn’t make it won’t be able to see how wonderful the film will be. Well, I’ll be going out to see the movie, not just to support it but also to see a little bit into our history.